The move comes after Virgin Group chairman Richard Branson said he would suspend working with the Kingdom in the wake of Jamal Khashoggi’s disappearance. On Thursday of last week, as evidence was mounting that Saudi officials were believed to have killed the Washington Post columnist Jamal Khashoggi at the Kingdom’s consulate in Istanbul, Branson joined the likes of JPMorgan CEO Jamie Dimon, Uber CEO Dara Khosrowshahi and others in pulling out of the conference. 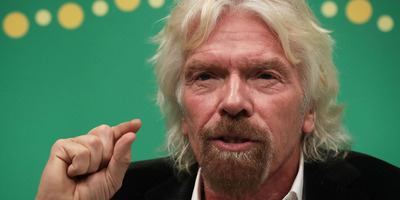 “I had high hopes for the current government in the Kingdom of Saudi Arabia and its leader Crown Prince Mohammed bin Salman and it is why I was delighted to accept two directorships in the tourism projects around the Red Sea,” Branson said in a blog post published October 11. *An earlier version of this post misstated the size of Saudi Arabia’s investment in Hyperloop One.